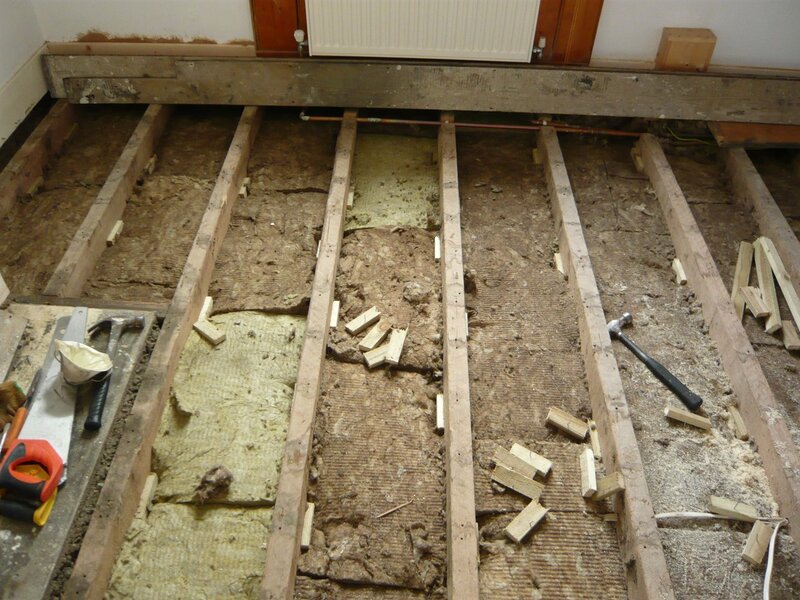 Adding insulation to suspended timber ground floors commonly found in homes built before the Second World War can reduce heat-loss by up to 92 percent, according to research from UCL and the University of Sheffield. A simple job for the DIY enthusiast, the research team claim that this intervention has the potential to dramatically reduce heating bills and contribute to the UK's CO2 emissions reduction targets. During the EPSRC-funded study, Dr Sofie Pelsmakers, a Lecturer in Environmental Design at the University of Sheffield and Dr Cliff Elwell (UCL Energy Institute) tested two different types of insulation in a Victorian house. In one room, EPS beads were injected into the floor gap, entirely filling it. 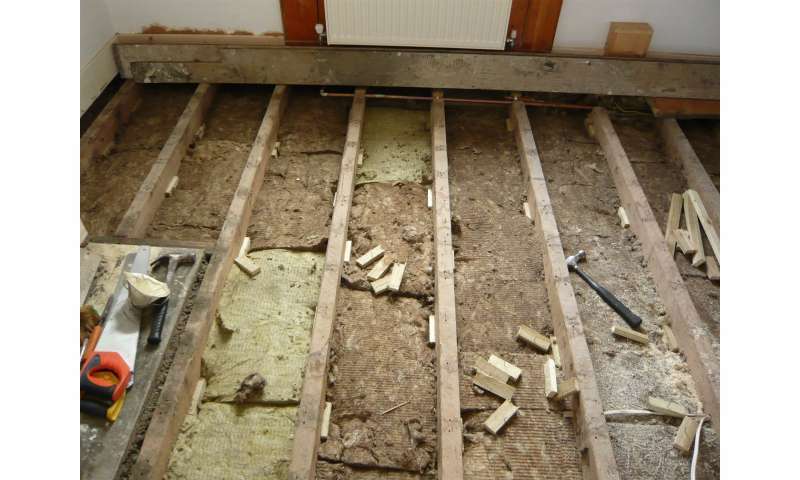 In another, the floorboards were pulled up and insulation laid between the joists. Results were monitored in 27 locations in the floor. Dr Pelsmakers explains what they found: "When we analysed the results of the tests, it showed a 65 percent reduction in heat loss for the wood-fibre insulation, and a 92% reduction for bead insulation. Our research suggests that there could be massive potential for cost savings in the average property." The results of the study titled Suspended timber ground floors: Heat loss reduction potential of insulation interventions is published this month in Energy and Buildings. The research is the first of its type conducted in the UK. Installation costs could be as little as £200 per room for the competent DIY-er. Using the most optimistic models, payback could be achieved within two years, and certainly within five from DIY installation. "We've already seen how simple steps like improving insulation and reducing draughts can prove economical." Dr Pelsmakers says. "In the future, ground floor insulation may provide another effective means to reduce energy consumption." To maximise heat retention, researchers temporarily sealed the properties' airbricks for the EPS insulation. While no adverse effects were noticed during the research, Pelsmakers and colleagues hope to explore the short and long-term effects of sealing air bricks. Dr Pelsmakers has some advice for DIY enthusiasts, urging caution. "Our research shows that to gain the maximum benefit from the insulation, it needs to be fitted very well, with no air gaps. However, over time, this could mean that, with the air bricks sealed, there is the potential for moisture to build up in the floor cavity, which could have negative effects. We're currently investigating solutions to this and hope to test these in the near future."